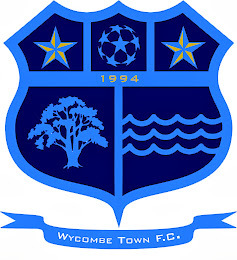 Wycombe Town FC 1 v Royal Standard 0In a really tight game between last years Premier Champions Royal Standard and title chasing Wycombe Town, the football was fast and furious and 'Town' ground out the result to win 1-0 with a Delroy Howell goal. 'Town' pressurised Standard most of the match and Standard relied on the counter attacks. Wycombe Town now have four games in two weeks starting this Sunday with a home game against FC D&B at Holtspur. The Reserves last game in their quest to win Division 2, is at our Holtspur home against Lacey Green on the 15th April.